We are a renowned Manufacturer and Supplier of a wide range of Cleanroom Trolleys. We use finest stainless steel in the manufacturing process to make Cleanroom Trolley strong. We have a quality analysis team to make sure that Cleanroom Trolleys have sturdy structure and long service life. 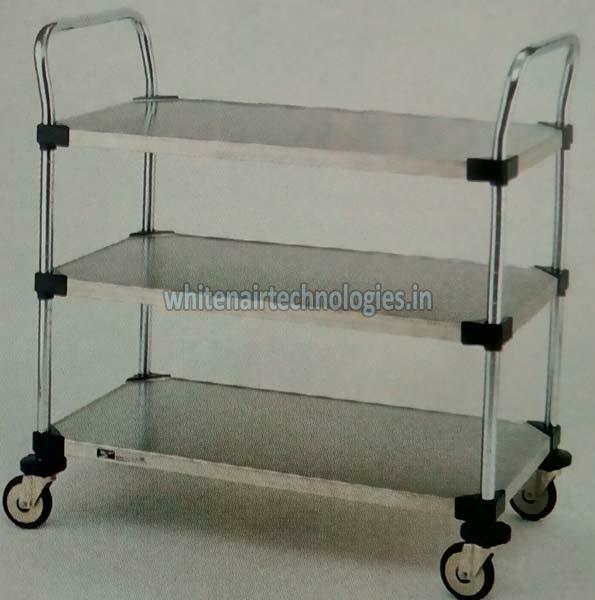 According to buyer’s needs, we can make available Cleanroom Trolleys in various sizes and designs. Delivering all orders on time and affordable prices are the factors that distinguish us from our competitors.